As the formal launch of Intel’s new codenamed Whiskey Lake-U processors approaches, it is seemingly inevitable that their model numbers and specifications will get published by OEMs ahead of time. This week HP has done just that, inadvertently publishing the frequencies of some of the upcoming processors, all the while ASUS and Synnex have confirmed their model numbers as well as some other specs. As it appears, Intel has managed to increase Turbo clocks of the new chips rather significantly when compared to their predecessors. Intel first announced its Whiskey Lake-U processors for mobile PCs back in April and then shed some light on these chips at Computex. 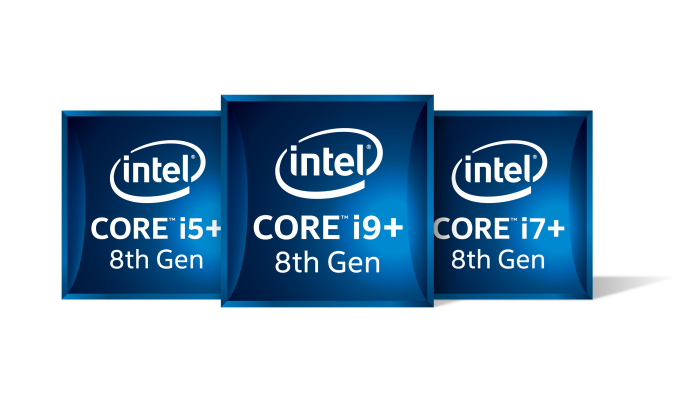 According to Intel, the CPUs will belong to its 8th Generation Core family, will be made using a 14 nm process technology, and will offer a double-digit performance gains when compared to the Kaby Lake Refresh parts. It is unclear whether the Whiskey Lake-U processors have any microarchitectural improvements over their ancestors, but this week we learned that they will at least have higher Turbo frequencies. HP on Wednesday accidentally published specs of its upcoming Pavilion x360 convertible based on the Whiskey Lake-U SoC and disclosed specs of the chips it plans to use. In the meantime, ASUS and Synnex (1, 2) confirmed existence of CPUs with such model numbers. As it turns out, HP will offer three Whiskey Lake-U processors with its Pavilion x360 notebooks: the quad-core Core i7-8565U, the quad-core Core i5-8265U, as well as the dual-core Core i3-8145U. HP’s disclosure indicates that all of these SoCs feature Intel’s UHD 620 iGPU with 24 EUs, so at least on the graphics front Whiskey Lake-U will offer similar features as their predecessors. In the meantime, specs published by ASUS indicate that the new CPUs will support DDR4-2667 memory, thus offering an upgrade. If we compare alleged specs of the upcoming Whiskey Lake-U processors with comparable Kaby Lake Refresh chips, we will notice that the new SoCs do not have any advantages in terms of base frequencies, but feature massively higher turbo clocks, on the order of 500 to 700 MHz. The latter will have an impact on responsiveness of future laptops, but under prolonged heavy loads such PCs may not perform much differently than systems featuring KBL-R CPUs. Turbo L3 TDP Cores Freq. Intel traditionally does not comment on unreleased products and therefore it is impossible to verify accuracy of the specs published by HP. The fruits of 14nm++, right? I wonder how they’ll deal with the higher idle draw. Is this where those low power displays (1W) come in? At this point it is not even clear that Cannon Lake will actually be released (I mean in something more than a rare single low power 2-core sample with a.. disabled iGPU). In case it was not clear the expected high volume release of 10nm CPUs from Intel in the last couple of months of 2019 refers to Ice Lake, not Cannon Lake. It sounds like they made some processing improvements with Whiskey Lake. For it to get double digit gains - and higher frequency at lower watt then 8705G they must have done something in power to performance ratio. But keep in my 8705G wattage is not just the CPU - but discrete GPU.